Should I start the conversation with him? Absolutely! Here’s the best way to get things started with a guy you want to meet. It’s Time for You to Start the Conversation! I’m not a fan of women taking over a man’s role to pursue. for the most part, quality men don’t like to be chased by women. Instead most decent guys prefer to do the chasing themselves and take the lead to get a relationship started. However, something has changed for a good chunk of quality men today. 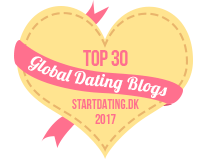 Like many single women, they’ve been beaten down by more than their fair share of rejection on the dating sites. Not all women are nice like you are. Surprisingly, as a result, some quality men are now a little gun shy about dating and want to feel more certain you’ll be open to them before they approach. Is that confusing? Don’t chase men but they aren’t as brave as they used to be at getting the ball rolling. Don’t worry if that sounds like a contradiction because I’ll explain how to work around this new breed of men. Take charge of meeting men so you can improve your chances of finding the right one. This is not about being aggressive. Instead, this strategy encourages you to make it easy for men to get to know you by letting them see you are open to them. When you start the conversation, you remove the dread of immediate rejection. Single men can be a lot more sensitive than you’d expect today. Feelings of isolation and rejection are not something just women deal with any more. Both genders get their fair share of these unpleasant emotional states. And this is the biggest reason why being warm and friendly works today when your goal is to find love. When you rely on your feminine charm, either online, the dating apps or in person, you are more likely to connect with men. Why? Here’s some insight into understanding men. When you come from your feminine power, you are sure to perk up a man’s masculinity. That makes him feel good, virile, and attractive. It sparks desire and his innate ability to take action. Remember, men are people too – so he’s probably sitting over there thinking, “Should I start the conversation?” wishing you’d make it easy for him. Today that is often how a man begins the chase – after getting a little positive feedback from you. Men choose women who make them feel good and are fun and easy to be with. Your feminine charm easily puts you into that category versus other women who are too busy qualifying men as potential partners. Your best bet is to relax and enjoy men – it’s very enticing! Let me make this really simple. When was the last time you hosted a party? When guests arrived, did you take their coats and ask what they wanted to drink? Did you make the drink or hand them the beer or wine? Did you introduce them to others so they could feel comfortable and talk to others? These are the mainstays of hospitality. To welcome your guests warmly into your home. To take care of their needs by putting the coat away and getting them a beverage. And be ensuring a good time by introducing them to someone else to start a conversation easily. All of these actions help your guest feel super comfortable, wanted and appreciated. They’ll feel special and cared for and at home. Pretty nice when well done. This is how you want single men to feel around you! Are you catching on to what this dating strategy is all about? You want to welcome men into your life and you’ll be a hit with quality men. Now I realize you might not want to date lots of men, you just want to find the one right guy. However, the only way to find that one guy is to date plenty of men! 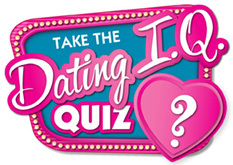 Dating is a numbers game and there is just no way around that fact. Which is even more reason to be hospitable and welcoming to quality men. The warmer you are and easy to appraoch, the more quality men will engage with you. That’s how you’ll find the right one for you! Which Man Would You Rather Get to Know? Man A wants to know why you are still single, what caused your divorce or if your debt/asset ratio will add to his own wealth. Man B makes you laugh, pays you a compliment, feels comfortable in his own skin and is great at conversation. My bet is you chose Man B – who wouldn’t? Well the same thing applies to you honey. The more relaxed, confident and fun you are to be with, the more attractive you become. Yes, it really is this simple. Can you give it a shot? Are you willing to drop your usual investigative techniques designed to assess him as quickly as possible and replace it with feminine charm? Can you see yourself being friendly and starting a conversation to make a man feel welcome in your world? If you do these things, you will be well rewarded by meeting more quality men and improve your chances of finding one you click with. Should I Start the Conversation with Him? Hell Yeah! So if you’re still wondering, “Should I start the conversation with him?” the answer is a resounding, “YES!” Do NOT hesitate when you see a man you’d like to meet. GO FOR IT GIRLFRIEND! Have a sense of humor? Use it! Ask a man for help with something simple – get the bartenders attention, help you reach something, get directions, etc. Share one compliment – That tie brings out your eyes; I love a man in a pink shirt; What a great watch! Flirty moves will also work, so make sure you smile and have eye contact too! Any of these simple, no brainer ice breakers will get the conversation started and you engaging with quality men everywhere you go. Go for it with gusto and have fun out there! 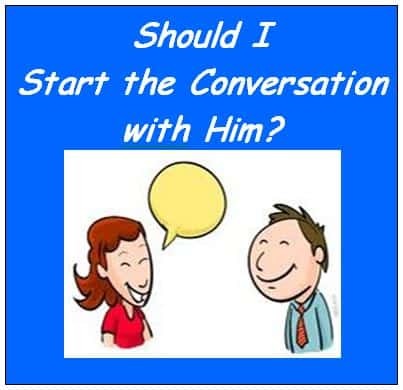 For more conversation tips check out this post. And if you want more about understanding men, get y free book about His Mixed Signals are So Confusing! I Don’t Want to Chase Him, But He Doesn’t Initiate!